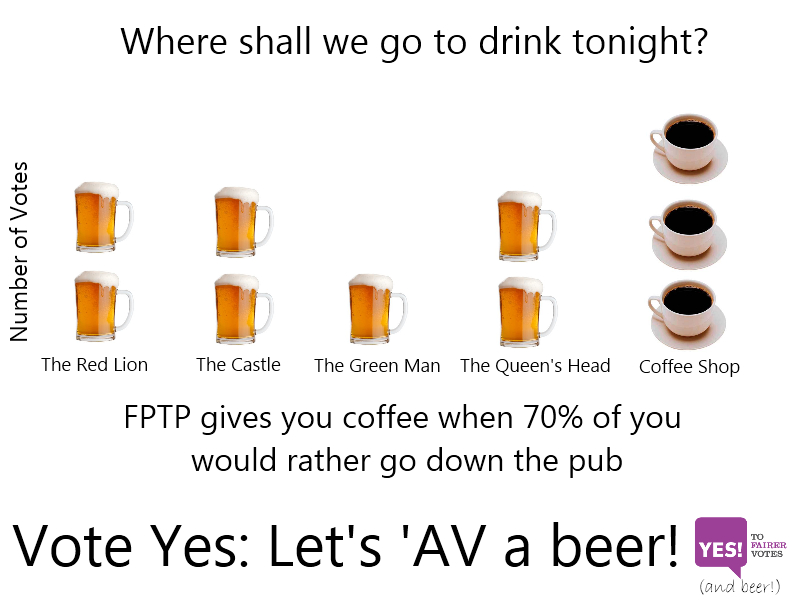 AV is less than perfect but in my view is at least better than our current system so I’m going to vote for change and vote YES on 5th May. Below is a collection of things I found that helped me to make my decision, I hope you find it helpful too. This article by Johann Hari is excellent on explaining how AV works and why we should change from First Past the Post. The votes of the public are divided across these 12 contestants, so obviously nobody will get majority support. 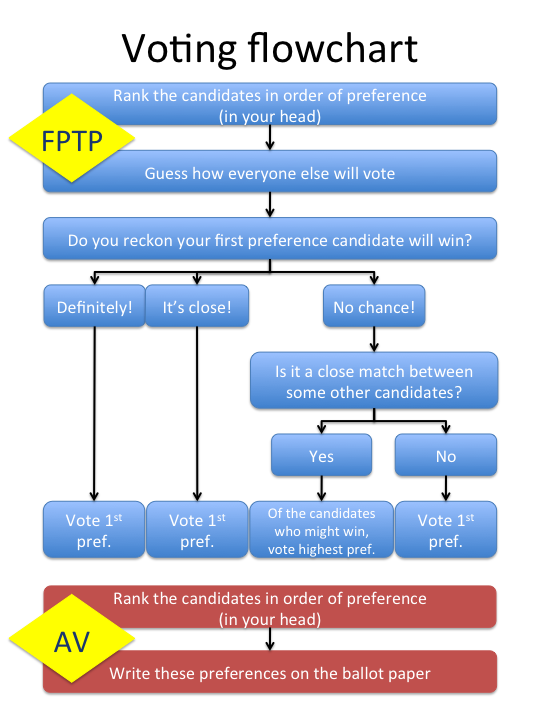 The most popular candidate at that very first step might get 30 per cent. If The X Factor declared that person to be the winner of the entire show there and then, it would be an FPTP election – and a replica of how we select our MPs now. Yet most of us would think that was a bit odd. Should somebody who enthuses only a small but vocal minority win outright, even though most people are against them? It would markedly change the result of the show, producing a winner who would satisfy far fewer people – this year, it might have been Aiden Grimshaw, or One Direction. It would delight a minority, but bemuse the rest. That’s why we are the only country in the entire European Union that chooses MPs like this. There is another way on offer in the referendum on 5 May. It is to keep knocking out the most unpopular contestant round after round, until you finally get a winner who has more than 50 per cent support and can be drowned in confetti and Cheryl Cole’s hairspray. That’s exactly how AV works. Obviously, you can’t force people to traipse to the polling booths for 12 weeks in a row, so you condense it by getting them to list the order in which they like the candidates. So if you choose the political equivalent of Cher Lloyd and she gets knocked out, they transfer your vote to your next favourite, Rebecca Ferguson, until somebody gets a majority. Is your cat confused about the referendum? I saw this on Tim Minchin’s twitter feed, funny and true!